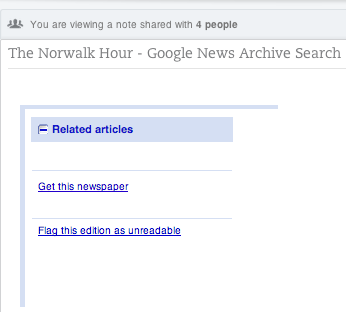 Google is a breeze for the “digital natives” among us. Type tabby cat in the search box and a wealth of media and information appears in around .42 seconds, ready for immediate digital consumption. 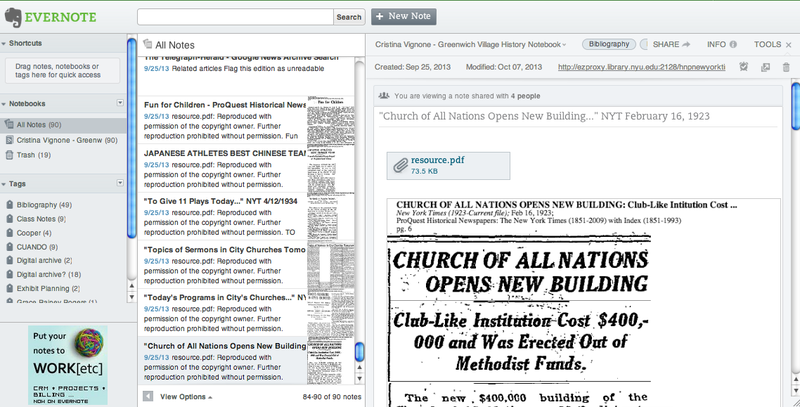 Finding aids aren’t so easy. Yet they are an essential tool for any and all researchers interested in Greenwich Village history: Google is not enough. One of the best resources for studying any New York military unit during the civil war is the New York State Military Museum and Veterans Research Center website: http://dmna.state.ny.us/historic/mil-hist.htm. Finding better resources on New York military history than are found in the extensive collection, most of which has been digitized, would be a difficult task. This site includes transcriptions of many records, digitized photographs from the 1860s, and images of many of the flags carried by New York units throughout the war. This well organized site makes use by researchers an enjoyable experience. The designers of this site made navigation to desired topics easy with links posted on the left side of the main page. 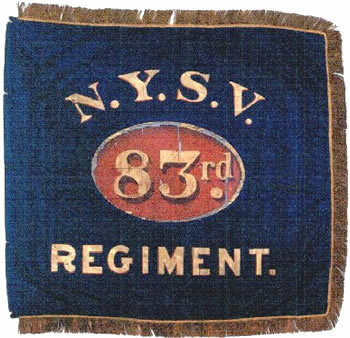 This allowed me to quickly find the unit from Greenwich Village I was searching for, which was the 9th New York State Militia (US Service- 83rd New York Volunteer Infantry Regiment). Once I found the page specifically on the 9th New York State Militia, I was able to confirm that this regiment was indeed from Greenwich Village by looking under the “History” heading. Part of the detailed information under this heading was a speech, entitled “TABLET TO OLD NINTH REGIMENT. Unveiled at Site of the Old Thirteenth Street Headquarters” made in Greenwich Village by a Colonel Morris. This information gave me insight into how important the 9th New York State Militia was to Greenwich Village and the pride the Village had in its contribution to defending the Union. With the confidence that this was indeed a part of Greenwich Village history worth investigating, I continued my search on this site for more detailed information and was not disappointed. Before moving to the 83rd New York page (which the 9th Militia became while in US service) I thoroughly examined the 9th Militia page. Not only does this site include information on this particular unit, but it gives a link to a brief history of the New York State Militia as well as links to scanned copies of the Adjutant General Reports for the State of New York (http://dmna.state.ny.us/historic/research/AG_Reports/AGreportsIndex.htm). Of special note here is the warning given before using these reports: “Because the text of the page is actually underneath the page image, the search function within the Acrobat Reader will not be completely accurate.” To better aid researchers, the New York State Military Museum’s archivists and historians are up front with the limitations of aspects of their site. Despite these limitations, I gained a better understanding of the organization of the New York Militia, including which military district Greenwich Village was located in, through the use of these reports. As if this was not enough information, the archivists at the museum added an “additional readings” section which is supposed to be a comprehensive list. Within this list are many firsthand accounts from men fighting with the 9th Militia, many of which are found on Google Books. The New York State Military Museum archivists’ concern about the accuracy of their site is evident in that they include an email address to contact them with more information regarding the unit, or books on the unit, that is not mentioned on the site. Moving on to the 83rd New York Regiment’s page reveals more archival information. More scanned images of 19th century documents, photographs, and objects are included in this page than are included in the 9th New York Militia page. I found an image of the flag the men from Greenwich Village carried with them into battle, as well as three scanned photographs of soldiers from the 1860s who were a part of the 83rd New York. Not only does this site give you a lot of written information, it presents images and links in order to make research an enjoyable experience. The “Further Reading” section for the 83rd New York has 20 additional items that one could look through to do more in depth research. Included in these resources are books, speeches, and letters. Some of these documents are not digitized and are found in the New York State Library Manuscripts and Special Collections. The website does indicate what is included in the collection and if there is a finding aid included with the collection. Perhaps the most valuable resource to researching Greenwich Village has been the unit rosters. Published as the Annual Report of the Adjutant-General of the State of New York for the Year …. : Registers of the [units numbers], these documents include detailed information on each member of the 83rd New York Infantry Regiment. This enables the researcher of Greenwich Village history to look for names of those who lived in the Village either before or after the Civil War as well as where each soldier came from (i.e. New York, NY). Unit rosters allowed me to delve deep into the lives of men in the unit, from the Colonel to a lowly Private, and see how long they were enlisted, if they were killed or wounded, what ranks they held and when they held them, etc. If researching an aspect of New York military history, especially the Civil War, The New York State Military Museum and Veterans Research Center is an amazing resource. The massive amounts of information are made manageable by the easy to use design of the website. Archivists and historians with this museum have worked diligently to provide texts, photographs, and other resources, which researchers of New York military history should not bypass. This web resource has aided me greatly in researching the Civil War history of Greenwich Village.